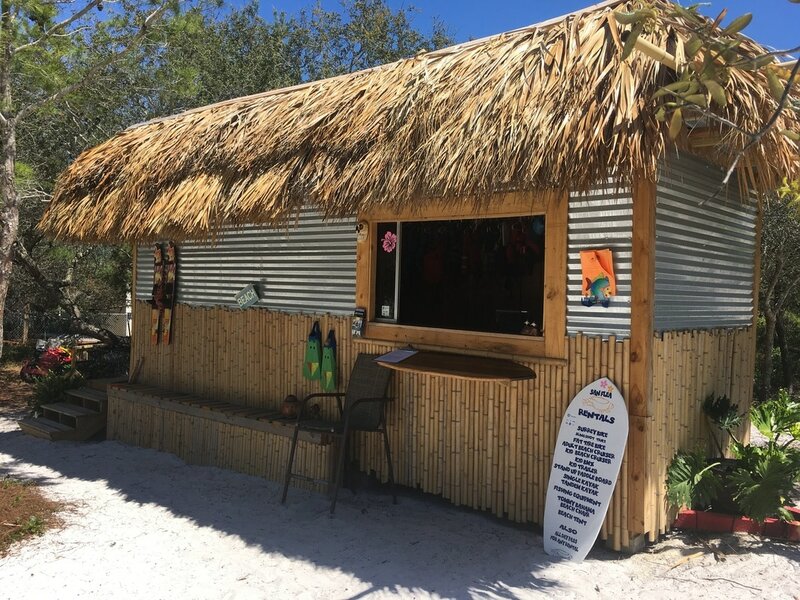 Right across the street from the Bow Wow Bungalow is the Loggerhead Run Bike Path. 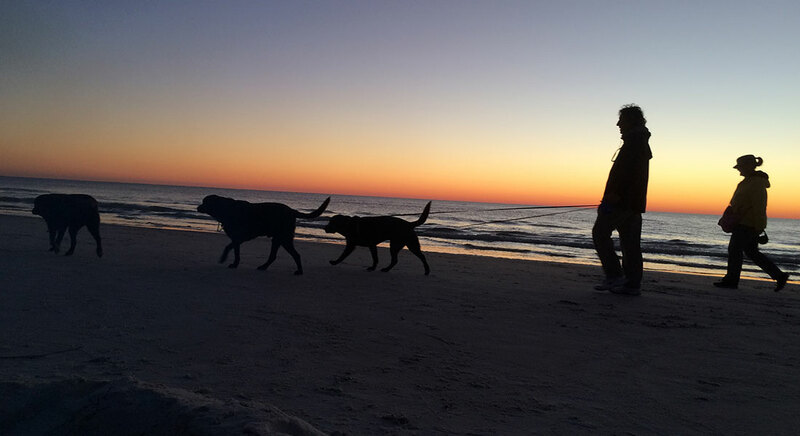 It’s an 8 mile paved that runs the length of the Cape from St. Joseph Peninsula State Park to Salinas Park along Hwy 30E/Cape San Blas Road. 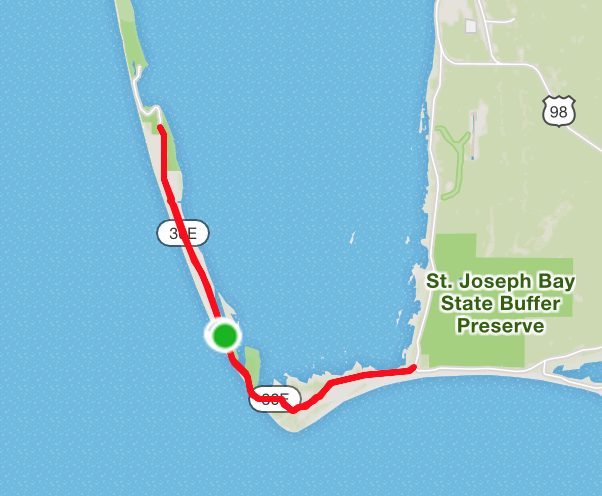 You can get a little more milage by going into St. Joseph Peninsula State Park, I normally go to the gate where you have to pay to go further. My path above took my 19.5mi and I kept a leisurely pace t 15.4 mph and the ride took 1:16. It’s a ride to start the day. Sites along the path, you have several parks and lots of great houses to look at. On the ride above I saw 2 bald eagles, a deer and road through tons of butterflies. You never know what you’ll see. I normally travel with my bike here but you can rent just a little down from the house at San Flea Rentals. I’ll rent a child carrier from there for our dog to go on the ride with me. Just remember, that the 15 lbs for the stroller along with your dog’s weight is a lot with the wind coming off the beach. Oh, and say hi to Ozzie while there!